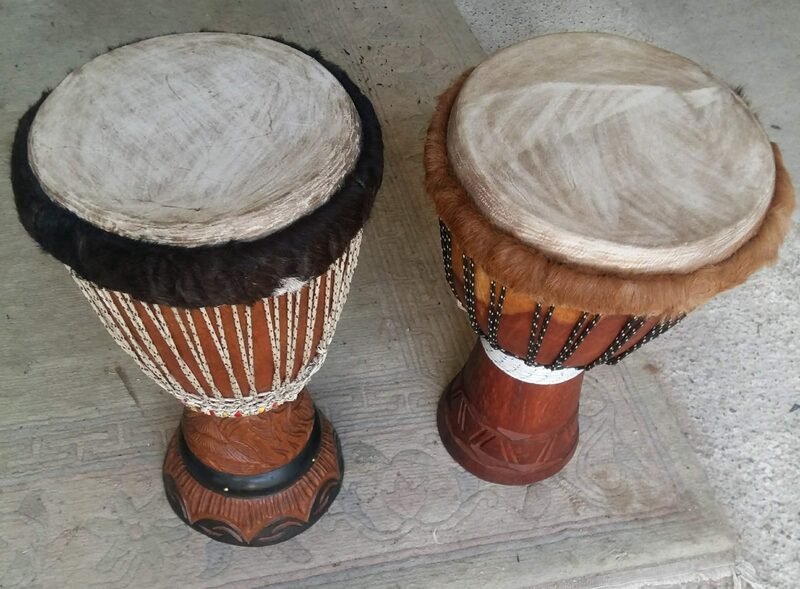 Do you have a broken djembé drum? We fix different types of skin drums, such as the djembé, ngoma, dundun and bendir. Read more about our drum repair services. Would you like to learn how to play the djembé, kalimba or mbira? We offer personal music lessons. Do you wonder what it is like to have a drumming workshop? We have put together a short compilation to give you a first-hand impression. See our instruments available at our African Instruments Shop. Our handmade Juma instruments kalimba and mbira are available for sale online at KalimbaShop. View photos and videos of Juma Drums at previous workshops and events. Listen to our music, South and West African traditional and contemporary music. Stay up-to-date with our latest events, workshops and classes by joining our mailing list. Did we make you curious? 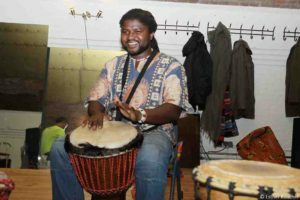 Get to know the Juma Drums team.